Subterranean celebrates its 20th year as a Wicker Park music mainstay. Chicago has one of the most vibrant music scenes in the country, and a major reason for that is the plethora of incredible venues strewn across the city. Too often, their stories are passed over in favor of those of the musicians who fill their stages. But no longer. 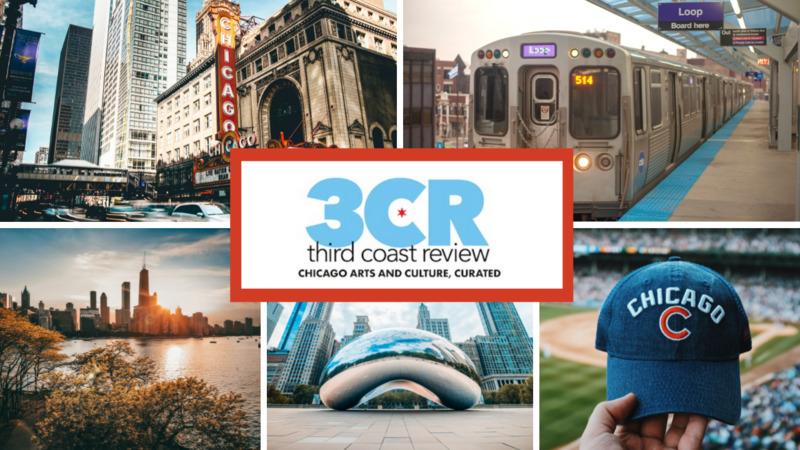 Third Coast Review is a fresh start to local music coverage, and that includes telling the tales of the holy sites to which we flock for our aural pleasure. Today, we kick off the “Chicago’s Music Meccas” series with a feature on Wicker Park’s Subterranean, which this year celebrates its 20th anniversary. Let’s take a trip back to 1996. Wicker Park is in the midst of massive upheaval. Hipsters and artists flock to the neighborhood, attracted by cheap rent and its proximity to the Loop, and the existing residents—many of whom are Latino—don’t like the gentrification the newcomers have brought on. The intersection of North, Damen, and Milwaukee isn’t the bustling nightspot it is today, but it’s also not the prowling grounds of addicts and lowlifes it was in the 1980s and earlier. Into this environment steps Robert Gomez, a U of I graduate and former employee of Inland Steel who has decided to start a music venue. The building itself is a relic with a long history. 2011 W. North Avenue was constructed in the 1890s and has operated at various times as a brothel, a bathhouse, and a wire room for gamblers, who could escape the authorities via tunnels that ran across the street to Wicker Park Tavern (sadly, they’ve been cemented off). And while modern, glitzy bars, restaurants, and clubs have popped up on every side over the past two decades, Gomez has made the decision not to revamp his venue, leaving be features that have been in place since the building came into existence. “I just decided to compete with the product that we put out there as it is, and ride the appeal of having an older club, something that’s been around, something that still gives you the grit of Wicker Park with some class to it,” he says. The result is a stunning room with tons of character and some of the most distinctive features of any venue in the city. Every time I paradoxically ascend to SubT’s upstairs venue, I’m instantly wrapped in the coziness of the overhanging balcony that makes the floor feel much smaller than it actually is. It’s narrow, it stretches back a way, and there’s no barrier between the often heaving crowd and the stage—when the venue is packed, it feels like a DIY basement show. But a trip up to the balcony reveals once again that this is a place with class, where concertgoers who have come to take in the music without getting shoved around in the pit can congregate with a drink in hand and elbows on the rail. Venue manager Dave Stach, who came onboard five years ago after spending his adolescence and college years basking in Subterranean’s ambience as both a fan and a performer, lauds the multi-leveled structure of the building as one of its most important features. My personal favorite aspect of SubT, though, has always been the spiral staircase that leads from the third-story green room down to the stage. I tell Stach this; he smiles and says it was originally used by burlesque dancers making their grand entrance. Even today, though, there might not be a grander way for a band playing in Chicago to start its show. The anticipation builds as you see the members’ feet first, then their legs, then, finally, a florid full-body reveal as they diffuse across the stage. And the effect only multiplies with larger bands. In August, I saw The Mowgli’s play Subterranean, and it took the eight of them a solid minute to descend to the level of the roaring crowd and start blasting the ears off of everyone. But Subterranean got off with just a two-week suspension, and the issue went away after that. In any case, Gomez started becoming a more active member of the Wicker Park community, an involvement that escalated twelve years ago when he was instrumental in planning the first iteration of Wicker Park Fest. As was the case when he founded SubT, Gomez was new to the game, but he got the support of the local Chamber of Commerce (on whose board he’s sat for the past 20 years) and was able to put together a neighborhood mainstay that has drawn such past headliners as Dinosaur Jr., Manchester Orchestra, and ODESZA (Gomez is still in awe that ODESZA went from headlining Wicker Park Fest to selling out two shows at the Aragon in a little over a year). SubT has managed to secure a number of those types of performances simply due to its long-timer status in the city’s scene. Stach recalls Fall Out Boy coming through at the height of their comeback in 2013 with a show they announced at 9 a.m. the day of, and Hannibal Buress once showed up to perform with the Lincoln Lodge comedy group simply because he was in town and missed the venue. Sometimes, as was the case with Lucky Boys Confusion, the act won’t put tickets on sale, instead announcing the show only to its fans and creating an audience perfectly suited for the intimacy of Subterranean. When you take everything that SubT offers and has offered and lump it together, you start to see a place that blends the old and new facets of Wicker Park seamlessly. The new-ish arrivals to the neighborhood have a pristine, cozy, old-fashioned-feeling venue that consistently books up-and-coming bands. The former locals still pilgrimage back for the hip-hop nights that cater to how the neighborhood felt twenty years ago. And now Chicago’s bands have their own stage, a place to hone their chops before small audiences the way every successful band has done. Factor in the street festivals that Gomez helped to create, and you’ve got a pretty impressive track record for two decades of existence. As for me, I’ll keep going back just to see artists descend those glorious spiral stairs. You can check out SubT’s events calendar here.